You will receive a username and password for your SpecVet account. 1. 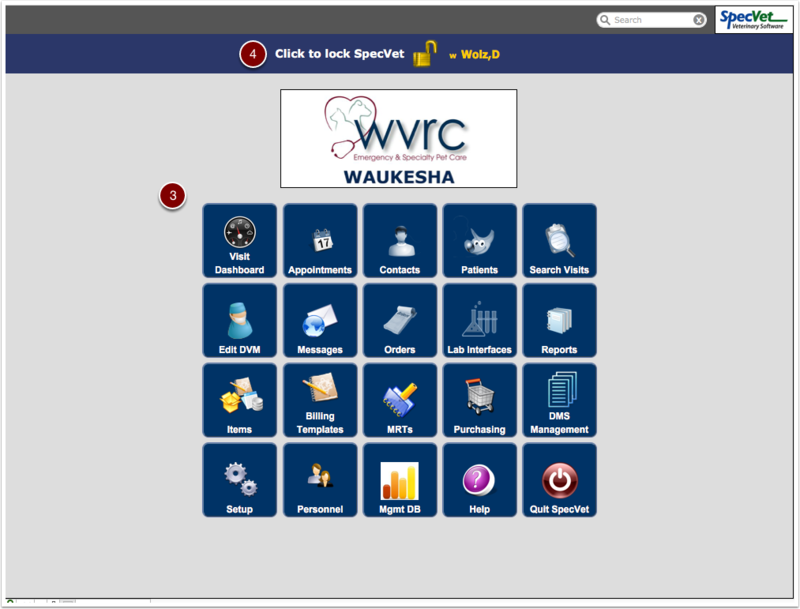 Once you have received your username and password from your Administrator, you will open SpecVet by selecting the SpecVet Icon on any hospital computer desktop. You will then click the "Lock" at the top of the main menu. 2. A second window will appear for you to enter your information and select the blue "Login" navigation button. 3. This will bring you to the "Home" screen where you will be able to navigate through various areas within SpecVet. 4. 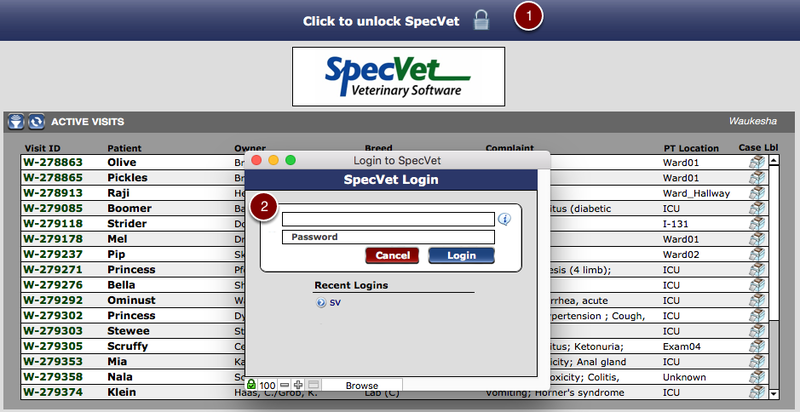 NOTE: Logout of SpecVet by clicking the gold lock at the top of the screen anytime you are not using the program. This will ensure another user cannot entering information under your user ID.